I've only really just begun to understand the importance of accessories. This may surprise some of you accessory lovers out there, but until about four months ago I only owned two handbags, five pairs of shoes and *the horror* no novelty socks. Seriously, Steph what were you doing?! After having the revelation that outfits are everything you put on your body, not just your clothes, I set out to rectify this. Now, I'm by no means fully cured yet, but this haul definitely gave this 2016 goal of mine a kick-start! I figured the sales were the best place to start looking for cute things to perk up my outfits and my moods. I mean, who isn't a little cheered up by the thought of popcorn socks? Oddly enough, cute socks genuinely have the ability to change my mood in the morning and start my day off with a smile. 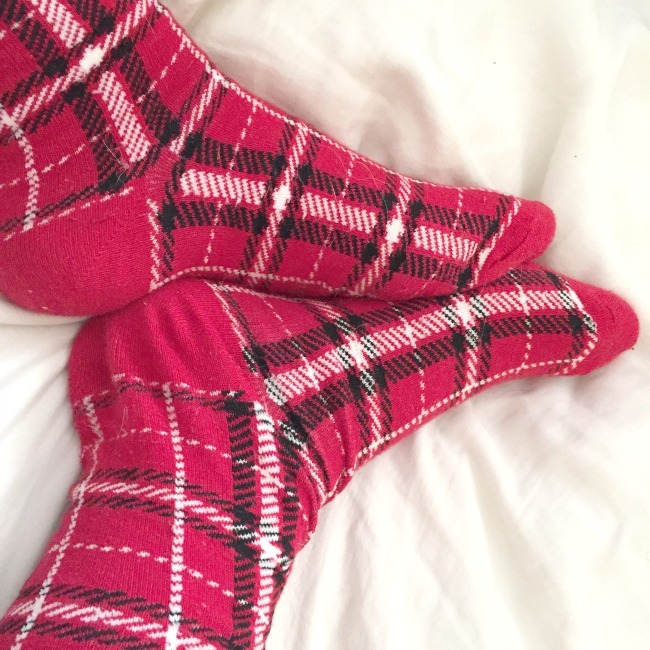 I'm so gutted that New Look don't sell either the popcorn socks or the tartan ones anymore, but here's a link to a similar pair on their site! If you've been keeping up to date with my posts recently, you'll probably recognise the outfit that this peach laser cut out bag is paired with as being the one from my recent OOTD post. 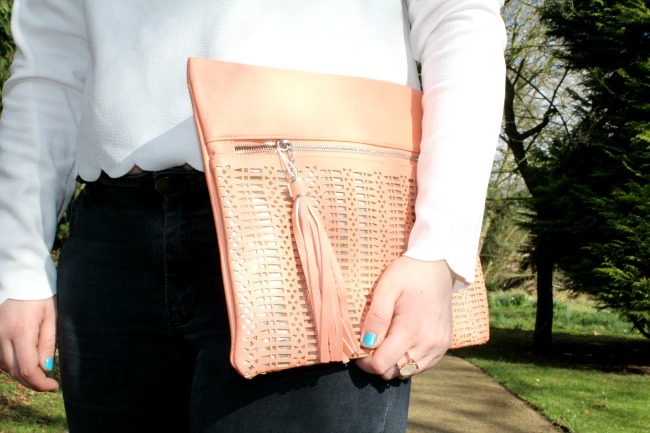 I'm absolutely in love with this over sized clutch and it's found a perfect spot in my Spring wardrobe. I'm not someone you'll see wearing masses of bright colours as I prefer nudes and blacks, so this is great for me for adding a cheeky pop of colour without it being too in your face. I'm not going to lie, I have a bit of a thing for hats. All of my baby pictures seem to feature me wearing a variety of them that my dad loved putting on me, and it probably stems from there. 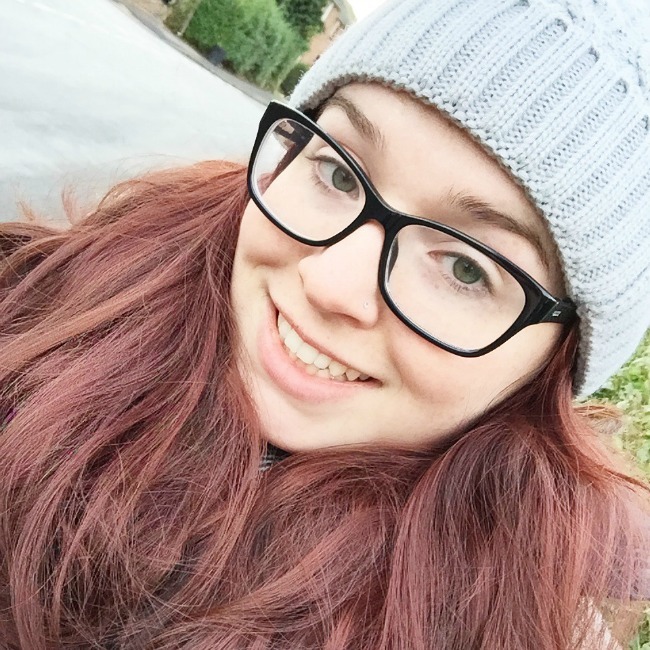 Now, I did NOT need to add another bobble hat to my collection (embarrassing confession time: I have more bobble hats than handbags, say whaaat), but this one (similar here) had a MASSIVE bobble on it, so obviously I couldn't resist. 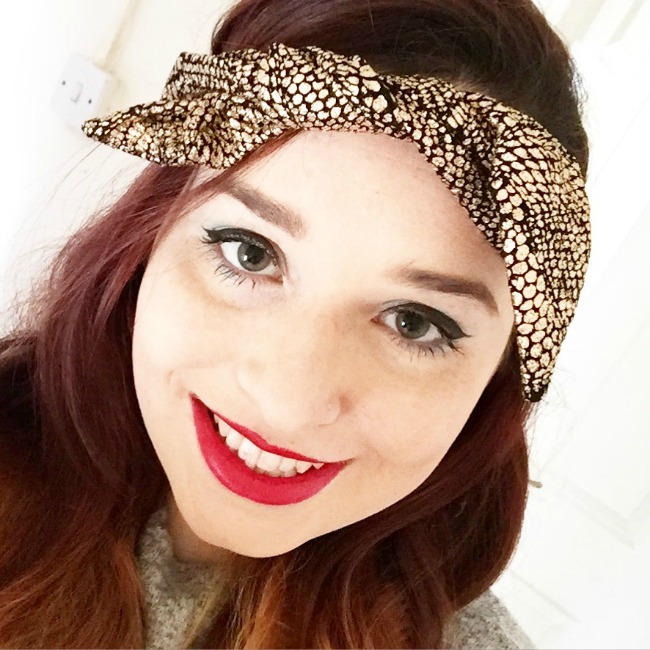 That bobble hat has been my go-to when the days have been chilly out, but for nights, I've fallen a little in love with this metallic headscarf (similar here). I'm SO glad I picked this up before New Look stopped selling it, but they have a whole range of colours and patterns on their site, so if you want something like this I'd definitely have a peek! Finally, we come to the girliest accessory of the bunch. And yes, we are going to ignore the fact that I did pick up a top as well because it was utterly horrendous on me - some kind of weird semi, see-through, scratchy number that made me look totally shapeless. That one went straight into my charity shop bag. Now, back to these pretty feather earrings (similar here). They are so unique with a long gold strip on one side and the delicate chain with a feather at the bottom on the other, however they are actual little bastards to get in. 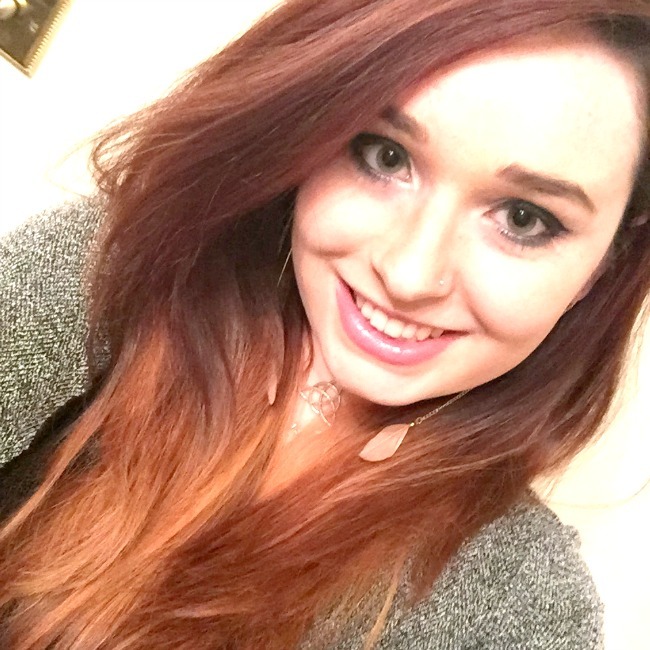 As NL no longer stock them, I've given you guys a link to similar ones that don't take half an hour to put in! 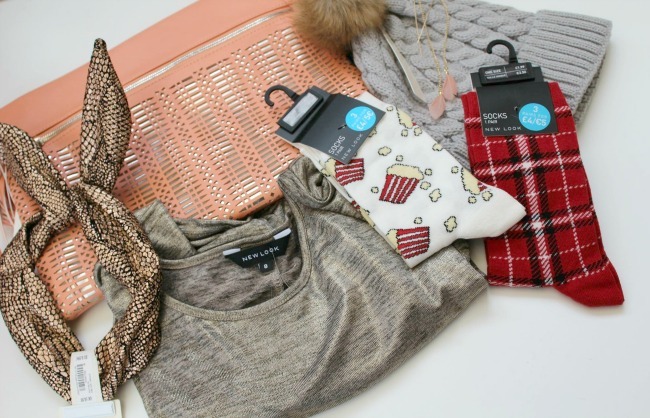 I hope you enjoyed reading about this haul, what have you picked up from New Look recently? Socks make me so happy! I'm creating quite a collection of them too! 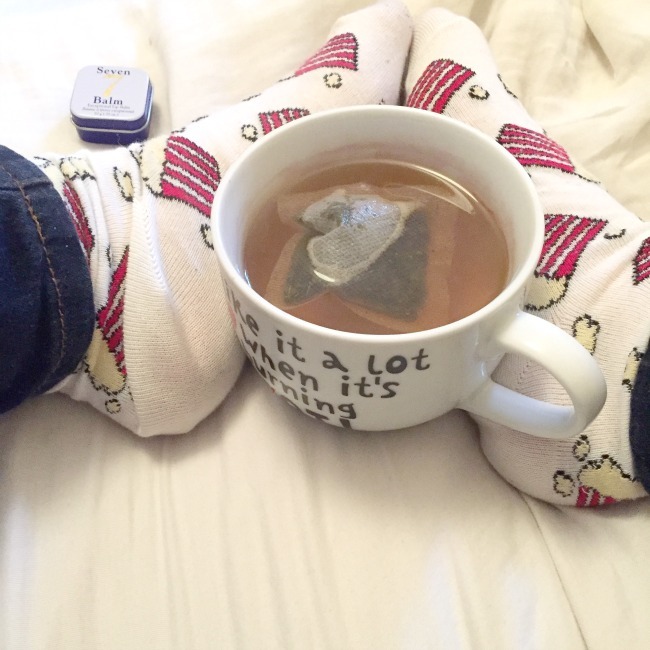 The popcorn socks are so me I'd love to get some of those, disappointed that they don't sell them anymore. I know, I was so gutted to see they'd stopped selling them! It looks like you've picked up some great items. I love the print on your socks! Thank you, they're so cute! They are so great, but so tricky to put in! I'm a sucker for a cute pair of socks so I love this little haul! Same, I see them and instantly am like I NEED! This post made me smile its so lovely and cosy, love it :)!